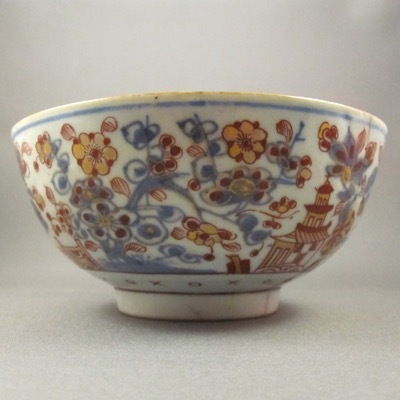 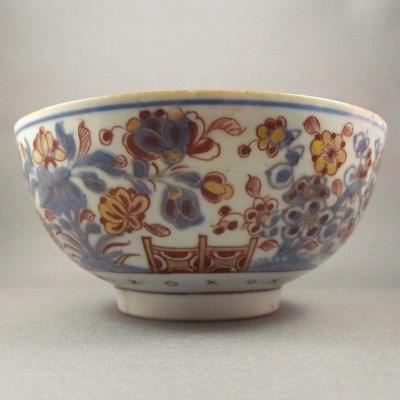 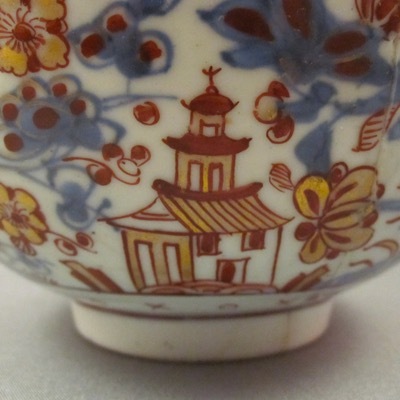 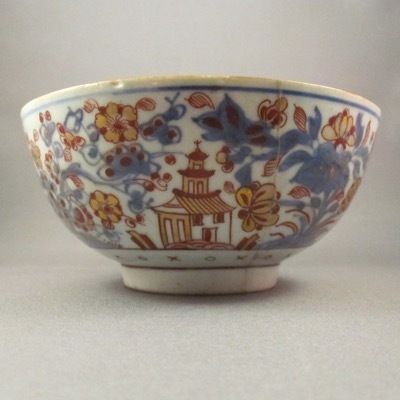 This Chinese bowl, which measures 2.75 inches high and 5.75 inches diameter, is decorated with flowers, pagodas, and bridges in the Japanese Imari style and palette. 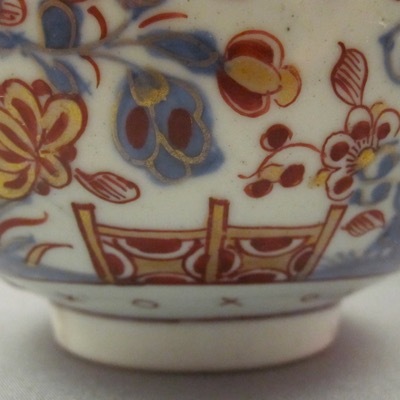 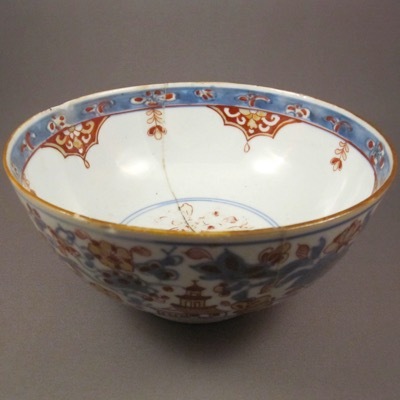 It was made for export to Europe in the early to mid 1700s with just the blue underglaze decoration, but soon after arriving, it was overpainted in red and gold to keep up with the public’s new demand for colorful porcelain. 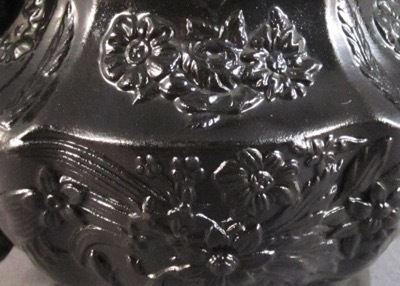 This method of overpainting is often referred to as clobbering. 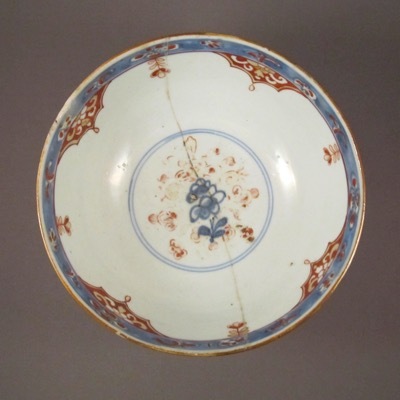 You may wonder why I am featuring a bowl that appears to have had its broken halves merely glued together. 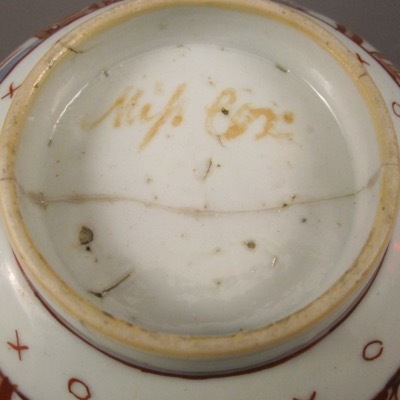 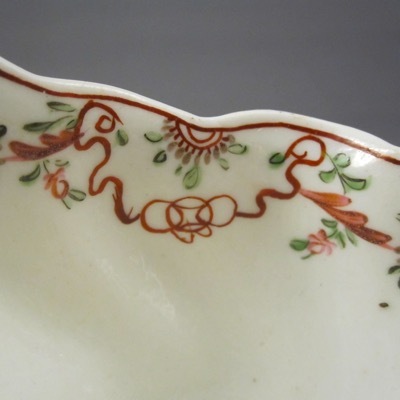 But the “Mifs Cox” red mark on the underside – she was most likely the original owner of the bowl – gives insight into how the bowl was repaired. 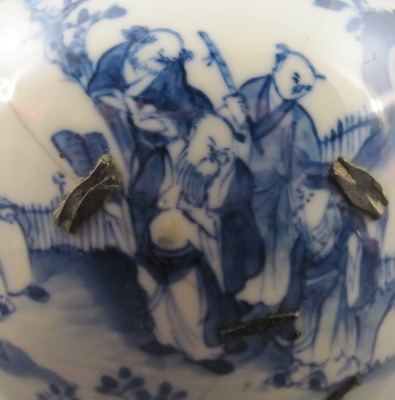 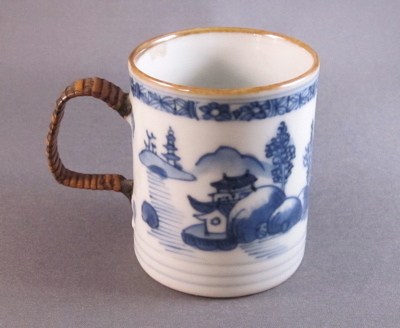 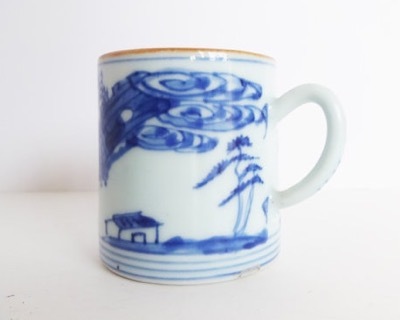 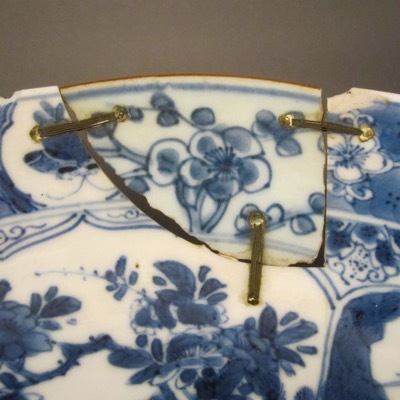 An early form of ceramic repair practiced in England during the late 1700s to middle 1800s was called “china burning,” in which broken ceramics were re-fired at a low temperature, causing the broken pieces to fuse together. 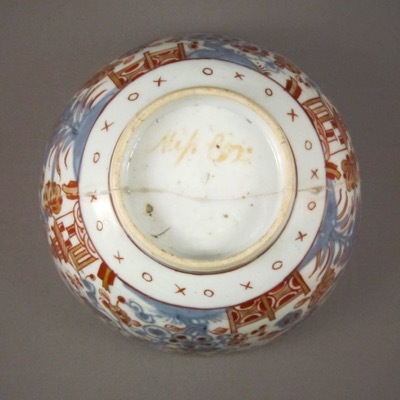 The most renowned china burner was Edward Combes of Queen Street, Bristol, who signed his pieces on the underside in red script, similarly to the mark on this bowl. 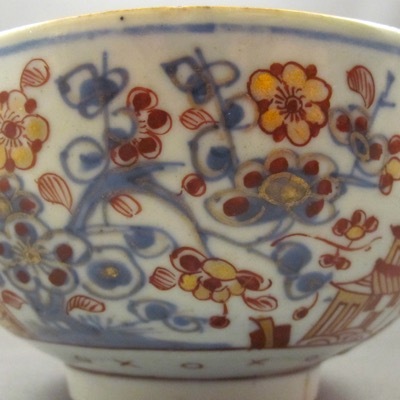 I have a few examples of pieces repaired and signed by Combes and will post them in the coming months. 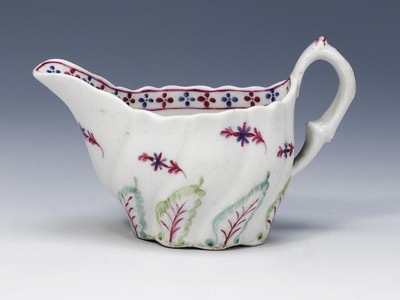 This porcelain Low Chelsea ewer shape cream jug with spiral molding was made by New Hall in London, c.1785. 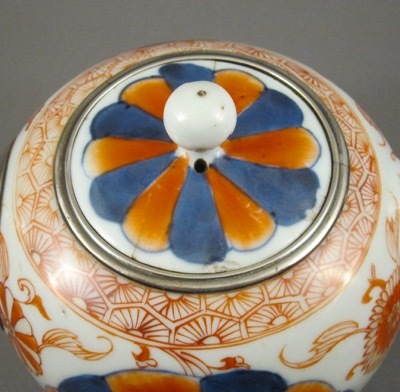 The floral spray decoration is hand painted in polychrome enamels. 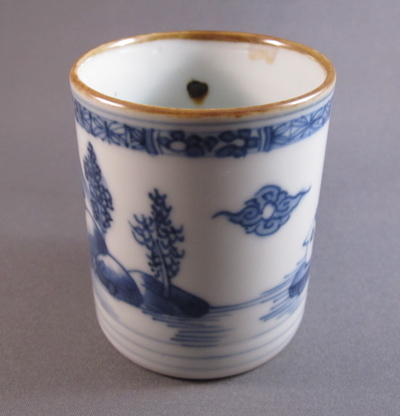 It measures 2.5 inches high and 4.75 inches from lip to handle. 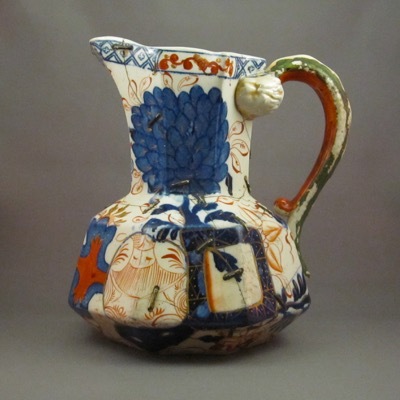 A lovely jug indeed, but what I find so special is the rare replacement handle, which was added about 100 years after the jug was made. 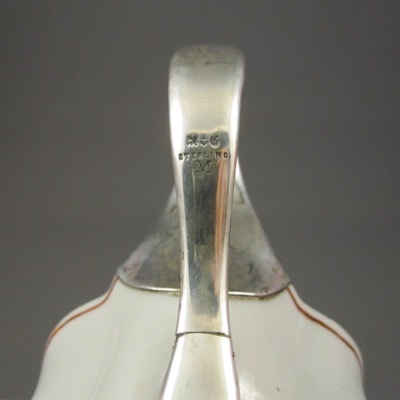 Perhaps a descendant of the original owner, who must have been quite well off and engaged the services of John Gorham of Providence, Rhode Island, to fashion a custom sterling silver replacement handle. 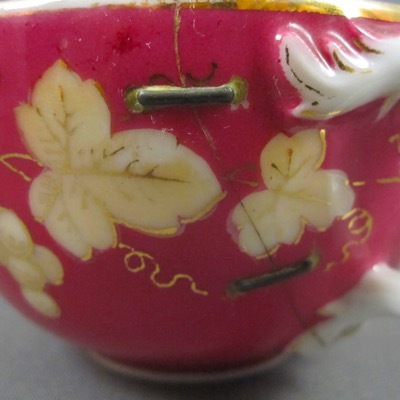 I own and treasure just a handful of hallmarked silver repairs, but this is the first piece I have encountered with an American hallmark, which pinpoints the repair to 1880. 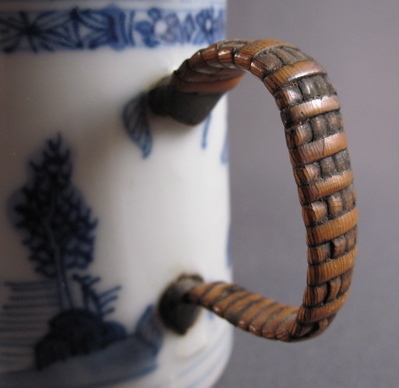 Here’s an example with similar form showing what the original handle on mine might have looked like. 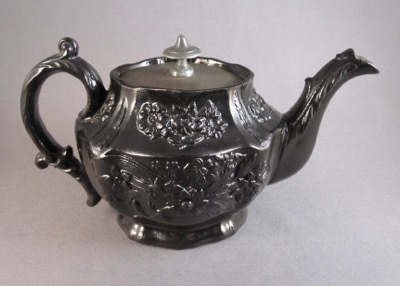 This small earthenware one-cup teapot has an “Egyptian black” or “shining black” salt glazed finish with low relief floral design. 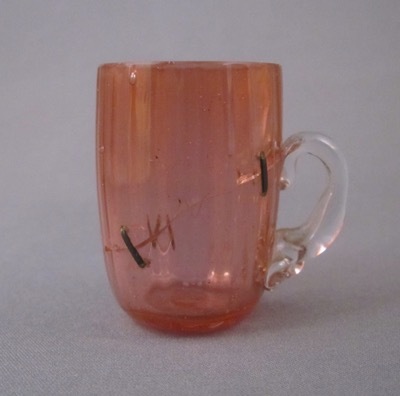 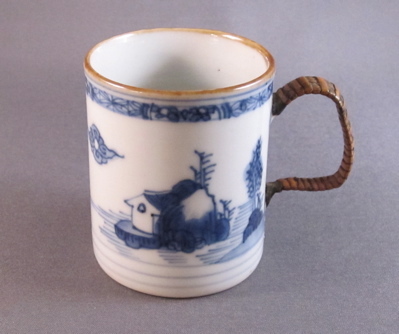 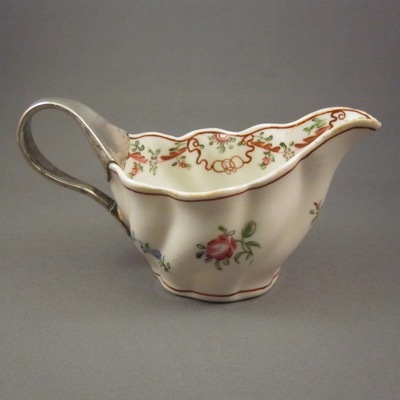 It was made in England between 1820 and 1840 and measures 3.50 inches high and 6.5 inches from handle to spout. 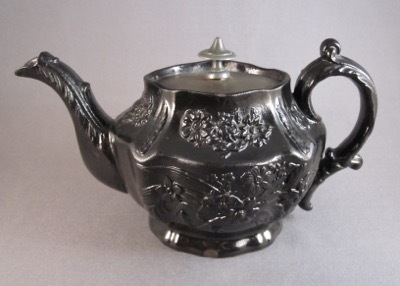 Due to its small size it is also known as a Bachelor’s teapot. 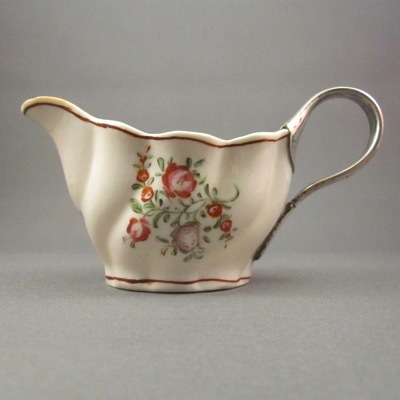 Some collectors and dealers believe that these are part of a child’s tea set but they are actually fully functioning teapots. 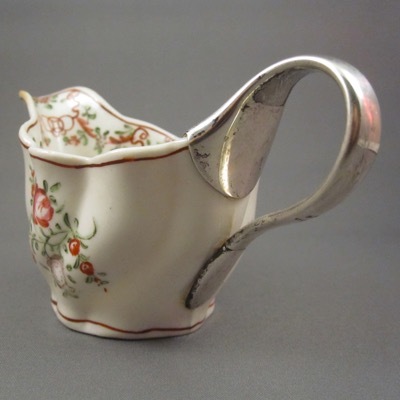 It is not uncommon for teapots to lose their lids and that’s just what happened here. 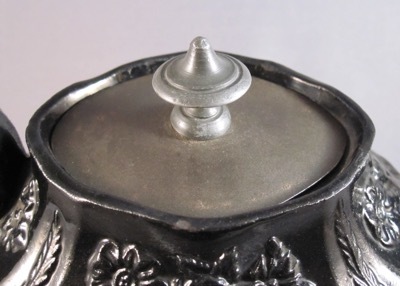 But this one didn’t remain unlidded for long, as a tinker, most likely in the late 1800s, made a well crafted replacement from tin, adding a mass produced pewter knob to complete the job. 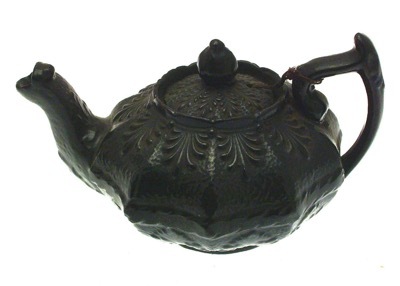 The new lid has developed a rich, warm patina over the past 100+ years, blending in nicely with the mellow tones of the dark teapot. 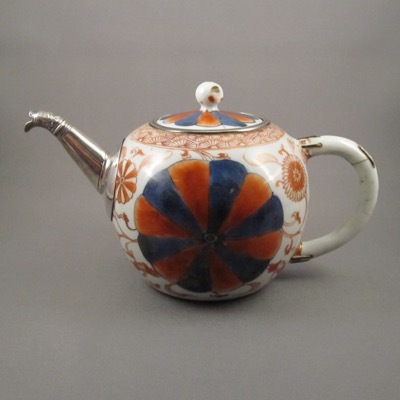 This teapot with its original cover intact suggests what the lid on mine might have looked like. 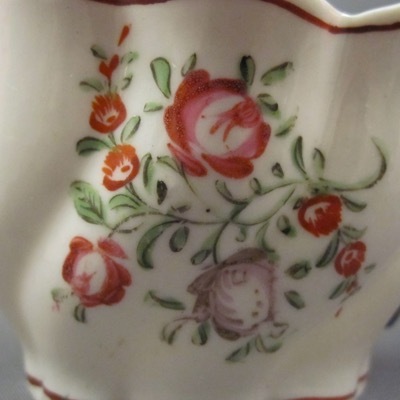 And to my friends in the UK…sorry about that.